Massive Audio - BP1500.2 | BP1500.2 | Endstufen | Toms-Car-Hifi - Kaufen was Freu(n)de macht! 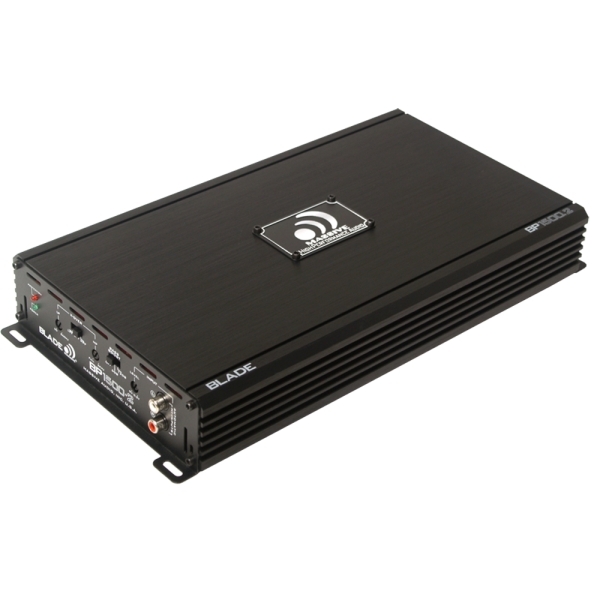 The BLADE BP Series Amplifiers are designed with our “Live, Loud and Play Hard” motto. All amplifiers have built-in OEM line converters with RCA inputs that can take a high level speaker signal at up to 9 Volts directly in. By sensing the DC off set of a factory radio it can activate the ATO (Auto Turn On) feature and convert the 12V turn on into a 12V switched out. Blade “BP” are Class AB designed with a minimum per channel impedance operation of 2 Ohm with the exception of the BP2000.1, BP1200.1 which are Class “D” and can play down to 1 Ohm minimum. The monster BP4000 & BP6000 are full range Digital and 2 OHM stable. All Blade “BP” amps use Mil Spec PCBs, SMD parts, 5 way protection, full MOSFET high grade switching devices and all comply with the “World Wide Standards”, “ROHS”, “E-Mark” and are CTA2006 Compliant. This ensures that no competition can stand up to the BLADE BP when it comes to features, performance and value.